Beyonce attends the "Manus x Machina: Fashion In An Age Of Technology" Costume Institute Gala at Metropolitan Museum of Art on May 2, 2016 in New York City. 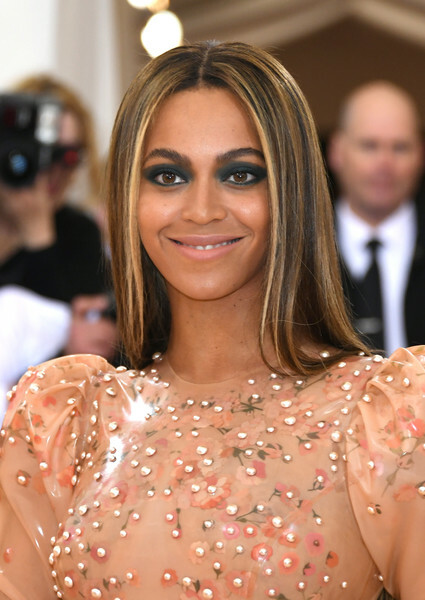 For her beauty look, Beyonce Knowles got a little bolder with a super-smoky eye. Beyonce Knowles opted for simple styling with this straight center-parted 'do at the Met Gala.